If a human hair lace wig isn’t ideal then maybe synthetic lace front wigs are an ideal alternative and here are your quick fire questions. "How Do Synthetic Lace Front Wigs Differ From Human Hair Lace Wigs?" It’s the hair. Instead of human hair, the hair is synthetic hair… but no ordinary synthetic hair. If you buy from us (or another reputable retailer), the synthetic hair should be made from fibres that are heat resistant to around 180 degree so you can use straighteners and curling irons that are temperature controlled. Now this is the part to focus on; whilst you can use heat, the key is to not use excessive heat. If you keep in mind that this is a synthetic lace wig and not lace wig made with human hair then you should be able heat style regularly without damaging the hair and prolonging the life of the wig – which is something we all want, right? "What About The Textures In Synthetic Lace Wigs?" The texture is silky rather than shiny so it won’t look like an ordinary synthetic wig that we all spot because of its unnatural reflective qualities. If you want straight hair and your growth hair is afro or extremely curly/frizzy then the Yaki or slightly softer light Yaki textures (respectively) are the textures for you. If you’re into curls then it doesn’t matter what texture your growth hair is, you can wear these wigs – hurrah! "What About The Lace In Synthetic Lace Wigs?" 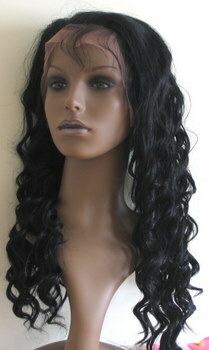 You can expect the exact same quality of lace in synthetic lace wigs as you can from human hair lace front wigs. They come in both French and Swiss lace types and you’ll know from our lace guide that French lace is more durable than Swiss lace (which is a thinner lace) so opt for this if you’re new to lace wigs. It’s important to emphasise that with synthetic lace wigs from the ready to wear section (stock) they typically only have lace in the front; which is why they're called lace front wigs. Most retailers don't hold synthetic full lace wigs as a stock item, so if this is what you're after then you're more than likely going to have to order this as a custom lace wig. There are quite a few lace wig cap constructions and they're available for synthetic lace wigs as well as human hair lace wigs. You’ll also know that the lace comes in different shades so will suit the darkest and lightest complexions and every skin tone in between. You can be sure to have an undetectable hair line with your synthetic lace wig. "What About Baby Hairs For Synthetic Lace Wigs?" Again just as with human hair lace front wigs you can expect a synthetic lace front wig to have baby hairs around the perimeter to add to the authenticity of the hair line. The baby hair will be an inch to two inches long and require trimming to the length that you choose. There you have it, virtually everything you need to know about the super synthetic lace front wig! "What about colour options for synthetic lace wigs?" 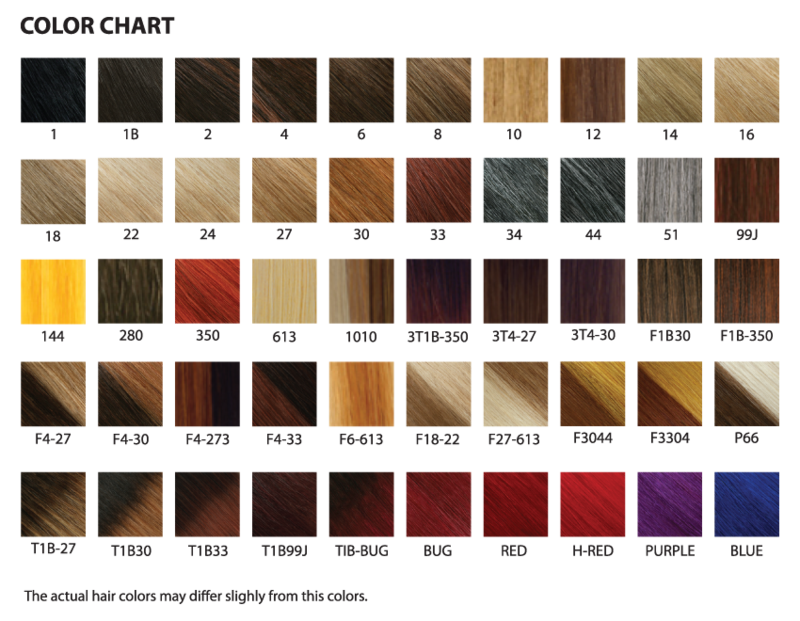 As luck would have it, we've put together a hair colour and skin tone guide which matches skin tones and hair colours; click the hair colour chart to enlarge (the chart can be enlarged twice just click the expansion box top right of the enlarged image window). That's the saunter through synthetic lace front wigs and there are more answers to more questions in the Lace (and traditional cap) Wig Q&A section as well as the navigation menu or if you'd like to keep up with new info, then why not join our blog - no personal information required - hooray!